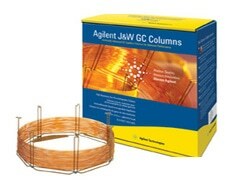 Simplify your operations with Agilent J&W DB-CLP1 and DB-CLP2 GC columns – the most flexible universal column pair for nine EPA dual- ECD pesticide methods. Together these fast, reliable columns deliver excellent resolving power with exceptionally low bleed while eliminating the need for time-consuming column switching. We also subject our DB-CLP1 and DB-CLP2 GC columns to the industry’s most stringent testing procedures – and we prove it by shipping a performance summary sheet with each column. Experience the high productivity, accurate identification and excellent column-to-column performance of the Agilent J&W DB-CLP1 and DB-CLP2 column pair.